TNT has greenlit Murder in the First, a new scripted drama from Steven Bochco, starring Taye Diggs (the 3rd post with a Mr Diggs mention today) and Kathleen Robertson, with Tom Felton), Mimi Kirkland, Raphael Sbarge, Ian Anthony Dale, Bess Rous and Steven Weber rounding out the cast. TNT has ordered 10 episodes of the San Francisco-set detective drama, which is being produced by TNT Originals. Set in San Francisco, Murder in the First will follow a single case across an entire season. The drama centers on homicide detectives Terry English (Diggs) and Hildy Mulligan (Robertson) as they investigate the murder of an apparent drug addict. The mystery deepens, however, when the victim is found to have a connection to Silicon Valley wunderkind Erich Blunt (Felton), the celebrated CEO of a cutting-edge tech firm. The timing couldn’t be worse for Blunt, who is preparing to take his company public. He’s also being sued by a software developer who claims Blunt stole his code for a revolutionary new hologram system. Terry and Hildy’s fellow detectives in their squad include philosopher-cop David Molk (Sbarge) The squad is supervised by Lt. Jim Koto (Dale). On the home front, Hildy is a single mom with an inquisitive daughter (Kirkland). Terry, meanwhile, is struggling to take care of his terminally ill wife, Emily, played by guest star Anne-Marie Johnson (JAG, In the Heat of the Night). Working for Blunt are Bill Wilkerson (Weber), his driver and pilot, and Ivana West (Rous), the company’s chief technology officer. Co-created by Bochco and Eric Lodal, who will also serve as executive producers, the series is slated to premiere on TNT in summer 2014. Murder in the First is one of four new scripted dramas coming to TNT. On Wednesday, Dec. 4, TNT will launch the eagerly anticipated series event Mob City, starring Jon Bernthal and executive-produced by Frank Darabon. And next summer will mark the premieres of the action-packed dramas The Last Ship, starring Eric Dane and executive-produced by Michael Bay, and Legends, starring Sean Bean and executive-produced by Howard Gordon. 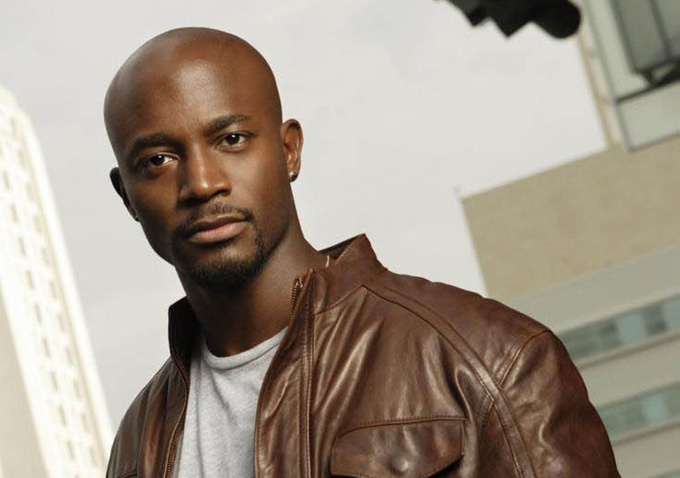 Diggs lands this role months after ABC’s Shonda Rhimes medical drama Private Practice, ended its run in January. Earlier today, it was announced that he’ll play a new romantic interest for Zooey Deschanel’s lead character, in the FOX comedy, New Girl. Diggs’ character will appear in the 7th episode of the upcoming third season (airing in November), playing a character named Artie, who’s described as a “smooth, confident ladies’ man,” who has his eyes set on Jess, which is kind of a problem for her because she’s in a new relationship with another character, Nick, played by Jake Johnson. Up next for Mr Diggs, look for him on the big screen in Baggage Claim and The Best Man Holiday, both out this fall.